We have always encouraged our agents and employees to counsel our clients on their needs and goals so that we can provide the best solution for their situation. We have always stressed going beyond just finding a buyer, seller or tenant, and working with both customers and clients to help shepherd the deal to a successful completion. This might be helping with floor plans, coordinating contractors, working with attorneys or engineers through the zoning process or the development design process, or any number of other services along the way. I believe this focus and paying attention to the details are the primary reasons for our success. While we can provide a long list of deals completed (over 10,000 since we started), we are more proud of the long list of long term clients with whom we have done business, in some cases for nearly our entire 40 years. 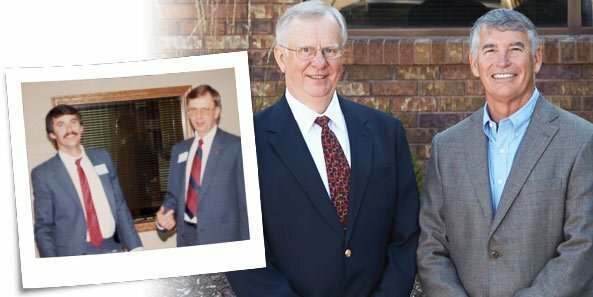 Investors Realty has grown from three agents (Jerry, one other agent and me) in June of 1975, to 20 sales and leasing agents, seven property managers and a host of excellent support staff, for a total of 50 people today.